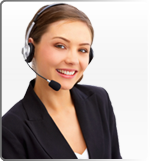 Welcome to the Web Hosting Support Section of our web site. Here you will find answers to the most common questions. Please take a moment to review areas of interest and if you don't find an anwer please contact us by creating a trouble ticket or calling us. I have a hosting account, now what do I do? Where do I go to make adjustments to my web hosting settings including email and FTP accounts? How to move your web site to your new Remedysoft, Inc web hosting account. How to point your domain to our servers so that your web site on our servers is displayed to the world. How to access your web hosting account via FTP to move files to the hosting environment.